Ideally, go with a bigger detox drink. But even more importantly, combine it with a pre-cleanse a’la real detox as well if it’s results you’re after. Yes and no. The more accurate way to phrase it is; it does increase your chances. But not enough so to be a reliable choice. 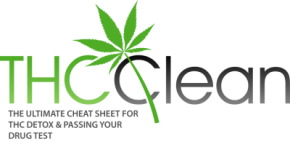 If it’s an important drug test to you, I’d suggest you check out this page on how to properly get clean from THC and other toxins fast. You really need to combine the Qcarbo16 with a proper over time detox product (Toxin Rid is the best from my experience), since all it does is trying to mask the toxins inside you temporarily. This only works well if your system’s toxin load is low already, which can take some time. Especially long when it comes to metabolites tested for in urine. If worried, the best ways to reliably beat a urine test are outlined in this guide. At the very least, if you want to go with Qcarbo16 and aren’t that heavy a smoker, would be to get it in combination with a pre-cleanse. That considerably increases your chances, even if still not the most ideal solution. Best would be proper detox as mentioned above, or in some cases pee substitution. It depends. So, concluding this Herbal Clean Qcarbo16 review, what you should take away from this is mainly: Do not rely on a same day detox drink alone, it’s likely you’ll regret it. If it’s a piss test of great importance to you, this page is what you’re looking for to determine what way will suit you best to pass it. At a minimum, get it with a pre-detox, such as this combo deal of QCarbo16 + pre-cleansing from TestNegative. We hubby just dtinked thr the qcarbo16 at 11 40am hsd to report at 1 pm we will see the results later…..
How much hours before drug test ? I purchased the Qcarbo16 for my drug test and drunk it the day of…. However my screening expires and I now have to take the drug test in 2 days. How long will my urine be ” masked ” if i continue to drink water and no longer smoke??? Or is it safe to buy another one and drink it? I know it says no daily use… Can anyone help??? Hi Aysia. Keep in mind drinks like these are very unreliable on their own so it won’t guarantee you’ll pass unless you’re already very close to the cut-off limit. It masks for a few hours, so to have the desired effect you’d need get a new one. Nothing unsafe about getting another one, aside from the fact that it can be risky due to mentioned reasons. Best way would be to rather use a home test kit to see whether you’re clean or not. If not, the most effective short notice solution is generally a good synthetic urine, as long as it’s an unsupervised test. Stuff works 3 lab tests, positive before q carbo, negative an hour later. Clean 6 days, drank water pissed alot 2 days prior to test. Got results from Quest 3 days ! Awesome. It all comes down to how close you are to the cut-off already though. For a lot of people, especially heavy smokers, this isn’t nearly enough and relying solely on this isn’t advised, since there’s only so much these can help hiding. Personally I prefer testing negative on a home test kit already through proper detox and using same day detox drinks only as a safety net. How is this stuff supposed to be used? Do I drink it the night before? My drug test will be roughly 9-10 days since I last smoked, but prior to I was smoking daily (although when I smoke I usually only take 1-2 small hits). I’ve been working out almost daily and trying to eat healthy. What do you think my shot is? It’s supposed to be used a few hours before the test to help temporarily mask THC. But drinks like these, that don’t help to actually detox, are often unreliable on their own and will only tip the scales if you’re already very close to the actual cut-off limit. Being a daily smoker (even if a small amount) with just 10 days of abstinence for your test, I’d say there’s a high chance you’ll not be clean. You best bet would probably be to get some home test kits (Amazon sells them cheap, see home page for recommendation) to confrim you’re actually clean enough, and if not, synthetic urine assuming the test is not supervised. Hey, qcarbo16 worked for me within two days of testing, drinking it the day of and urinating twice before test. Haves tested it for 3-meo-pcp and THC. Does anyone know if it will have the same effects on MDMA? All responses appreciated. I smoked daily for about a month. It’s been 27 days since I have smoked. What do you think my chances are of passing my drug test with the carbo16? Hard to say since it depends a lot on factors such as how much you smoked each day, your metabolism/body, lifestyle, detox efforts etc. I wouldn’t put too much faith in a qCarbo16 to tip the scales though, it will only be useful if you’re already close to the cut-off limit. My gut tells me if you haven’t actively been detoxing you’re not clean yet for a while. But best you could do is to take an at home drug test (check the home page for a recommendation of a cheap one on Amazon) and then take it from there. I’ve heard that some drug test can detect masking substances. Will/can qcarbo16 be detected in the test? Nah it won’t, and if it would, I can only imagine they’d have changed the formula very quickly or it would be disastrous for business! Does it work on nicotine tests? I TOOK IT LAST NIGHT @12AM I HAVE MY DRUG TEST @5:30PM TODAY I BEEN CLEAN FOR 2WKS NOW. AM I PASSING THE TEST? I’m a heavy smoker but I’ve been laying off the weed for about 3-4 days now. I have a drug test in two days. I workout and try to drink a lot of water. I’m about 5’7” 140lbs. Will this product help me pass?